Did you know that heating equipment is normally the largest energy user in the home, accounting for around 45% of energy bills (US DOE)? 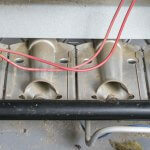 Given the high expenses related to heating equipment, it’s important to make smart decisions regarding heating system replacements, repairs, and maintenance. If you are concerned about the costs and efficiency of your gas furnace, you’ve probably heard the term AFUE before. But do you understand what it means? The AFUE of your furnace plays a huge role in the money you spend to heat your home each winter. AFUE is a measure of your furnace, boiler, or water heater’s energy efficiency. Keep in mind that electric heat pumps (in heating mode) use Heating Season performance Factor (HSPF) instead. AFUE stands for Annual Fuel Utilization Efficiency and is represented as a percentage. Generally, the higher the AFUE, the more efficient the appliance. First created by ASHRAE (American Society of Heating, Refrigerating and Air-Conditioning Engineers), AFUE is now the national standard of measurement for combustion efficiency used by the U.S. Department of Energy. 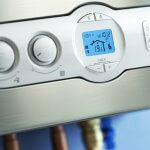 AFUE is generally understood as the ratio of heat output compared with the total fuel energy consumed by the appliance. In other words, AFUE represents the amount of fuel that is used to create heat. The AFUE percentage is calculated by dividing the amount of fuel supplied to the heater by the amount of heat produced by the unit (usually in Btu). If you have an AFUE of 80%, 80% of the fuel energy is used for heating while the other 20% is lost to chimneys, inefficient burners, and elsewhere. AFUE ratings, however, do not account for heat losses in ductwork or piping, which could be as much as 35% of the energy output of furnaces if the ducts are located in unconditioned spaces, such as attics and garages (U.S. DOE). The higher the AFUE rating, the lower your fuel costs. 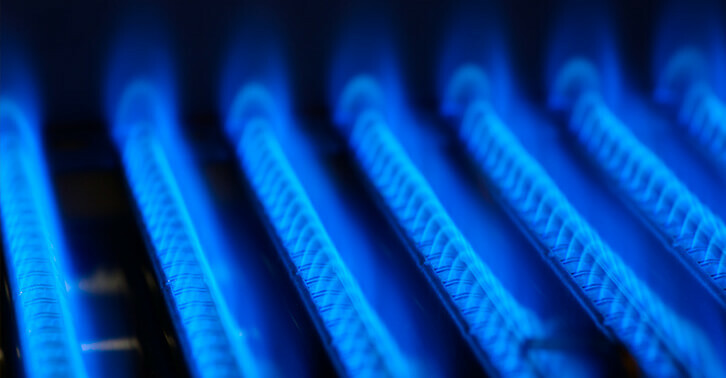 In order to encourage energy efficiency, the U.S. Department of Energy sets the minimum AFUE for gas furnaces, which is currently at 90% for the Northern region and 80% for the Southwest and Southern regions. The Southwest is comprised of California, Nevada, New Mexico, and Arizona. Don’t worry too much about that since nearly every furnace being made today has a rating of 90% AFUE or higher. The Federal Trade Commission requires furnaces and boilers to display their AFUE ratings so consumers can make informed purchases. You can find out your heating system’s AFUE rating by reading the EnergyGuide label, the yellow tag you find on most appliances. If you can’t locate the EnergyGuide label, try checking your owner’s manual or the retailer or manufacturer’s website. Unfortunately, your furnace, boiler, or water heater is almost always less efficient than the manufacturer’s printed AFUE rating since heating equipment gets less efficient over time. The actual AFUE rating needs to be measured in the home by a professional HVAC technician. They would divide the measured heat output (in Btu) by the amount of fuel input (usually in Btu). An even simpler way of approaching AFUE is by looking at the money. Say, for example, you have the 80% AFUE gas furnace mentioned above – for every dollar you spend on natural gas, only 80 cents actually go toward heating your home’s air while the rest escapes as exhaust. In contrast, a 95% AFUE furnace uses 95 cents of every dollar to heat your home, which means less fuel used and more money in your pocket. Taking this a step further, you can see how the savings of a higher rated AFUE furnace can really add up throughout the year. Use this savings calculator to see if a new, higher efficiency furnace make sense for your home. Modern furnaces can have AFUE ratings up to 98%, near total efficiency. AFUE is an important factor in your decision to purchase a new furnace, but as with most large purchases, there are many things to consider as well. Short-term vs. long-term savings – An efficient gas furnace will cost more up front but offers more energy savings over life of the unit. Rebates and tax credits – Unfortunately, many of the tax credits for residential energy efficiency improvements expired in 2016 and 2017. Still, energy companies may offer rebates and many states offer tax incentives in the form of sales or property tax exemptions. We can help you find rebates and tax credits that will help save you money on a high-efficiency furnace. Electric furnaces – If electric furnaces measured efficiency in AFUE, they would be close to 100%. However, because electricity is much more expensive than natural gas, they don’t make financial sense for most Northern California homeowners. Other heat loss – The AFUE only measures the efficiency of the combustion process of the furnace, it does not take into account heat loss from air duct leakage or lack of insulation. These are important factors to consider. For more information on AFUE and how to choose the furnace, boiler, or water heater that fits your needs and budget, schedule a free estimate with one of Service Champions’ heating specialists. 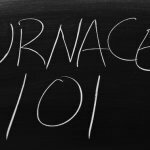 Furnace Basics: How Does a Furnace Work?